UPDATED: Thu., March 21, 2019, 9:53 a.m.
Gonzaga has been a No. 1 seed three times in the NCAA Tournament. 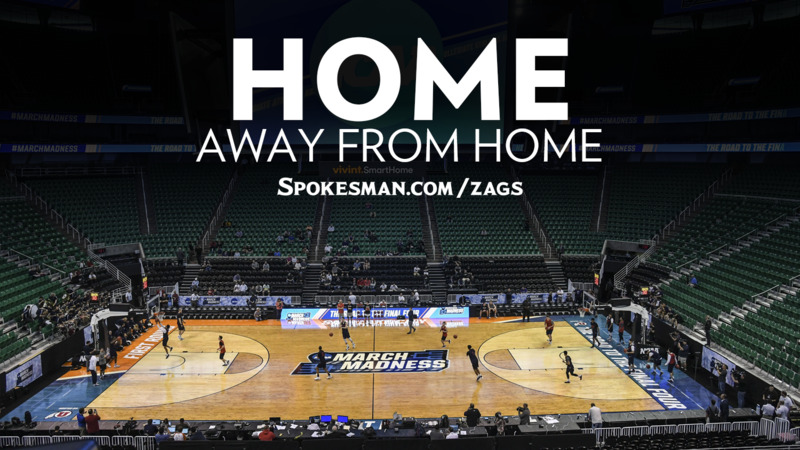 The Zags have been sent to Salt Lake City each time. Here’s a look at their two previous first-round games against a No. 16 seed. 2013: No. 1 Gonzaga 64, No. 16 Southern 58: Gonzaga had its hands full with the underdog Jaguars, whose spirited effort made the Zags squirm and turned the crowd into Southern fans. Sophomores Kevin Pangos and Gary Bell Jr. hit key 3-pointers late and Pangos drained a pair of free throws with 14.3 seconds to stave off Southern’s upset bid. All-American Kelly Olynyk had 21 points, 17 in the second half, and 10 rebounds. The Zags continued to struggle in their ensuing round-of-32 game, falling to ninth-seeded Wichita State. The Shockers eventually reached the Final Four. Gonzaga led by seven with 6:25 left, but Wichita State scored on eight straight possessions, including five 3-pointers. Olynyk scored 26 points and Pangos added 19. The Zags were without Bell for most of the second half because of an injury. 2017: No. 1 Gonzaga 66, South Dakota State 46: The Zags led just 26-22 at halftime but gradually pulled away in the second half. Gonzaga limited Mike Daum, the nation’s second-leading scorer at 25.3 points per game, to just 17 points. The Jackrabbits made just 31 percent of their shots. Jordan Mathews had 16 points and Johnathan Williams grabbed 14 rebounds as the Zags overcame 40 percent shooting. The Zags had a tougher test in the second round. They led by 22 in the first half, but Northwestern cut it to four in the second half. Freshmen Zach Collins and Killian Tillie delivered key points in crunch time as the Zags held on. Published: March 20, 2019, 1:21 p.m. Updated: March 21, 2019, 9:53 a.m.